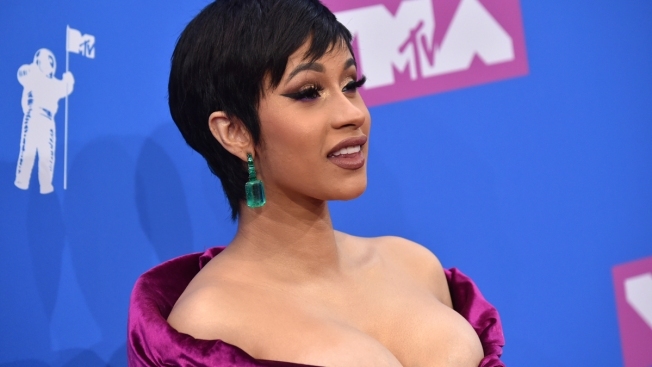 Cardi B arrives at the MTV Video Music Awards at Radio City Music Hall on Monday, Aug. 20, 2018, in New York. Cardi B has apologized to the daughter of Martin Luther King Jr. for portraying the civil rights leader's wife, Coretta Scott King, in a comedy skit. News outlets report the Bronx rapper was featured in "The Real Housewives of Civil Rights," a two-minute parody that surfaced Tuesday on TMZ. Tuesday was the 55th anniversary of the March on Washington and King's "I Have a Dream" speech. The sketch from comedian Rip Michaels' new series "Off the Rip" portrays pettiness between Coretta Scott King and Malcolm X's wife, Betty Shabazz, and ends with a joke about Dr. King sleeping with "The Iggy Azalea of the Civil Rights Movement." But Bernice King later thanked Cardi B on Twitter for reaching out and apologizing, and said she looked forward to talking with her.